W.I.T.S. offers fitness certification courses and certification testing locations in 39 states in the U.S. and in Canada. We have one of the largest college and university testing networks in the industry. Our goal is to make it easy for anyone that wants to become a Certified Personal Trainer. Regardless of your location, schedule or lifestyle, W.I.T.S. has a program that will meet your needs. Above all, the foundation of W.I.T.S. certifications were developed as a result of today’s fastest paced always on the go lifestyle. Scroll to the bottom of the page and you will find a list of upcoming course dates and locations for you to register for your certification. 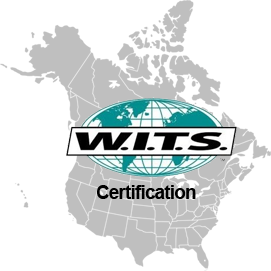 Live your fitness passion today and become a Certified Personal Trainer, Group Fitness Instructor, Older Adult or Fitness Specialist today with W.I.T.S. Sort: Click the bold column headers below to sort the location list by that column. Register for a course below by May 1 and Get 2 Bonus Courses to light up your career!